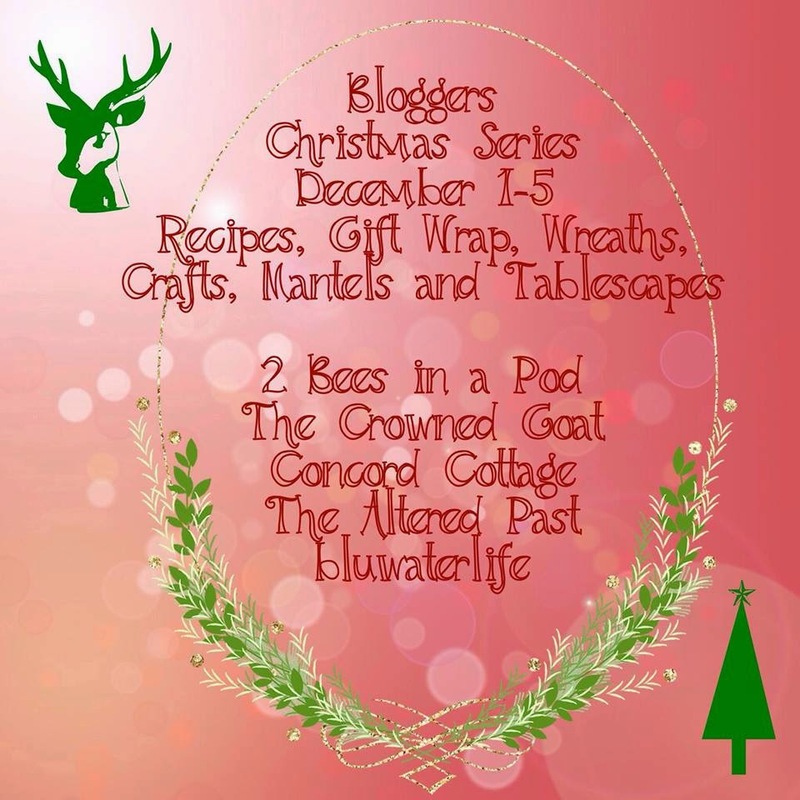 We're beginning our Christmas Blog Tour this week with recipes. During this crazy, hectic, and busy holiday season, there are a lot of parties, potlucks, get togethers. Saving time in the kitchen by creating this delicious yet SIMPLE dish will help save time and stress. 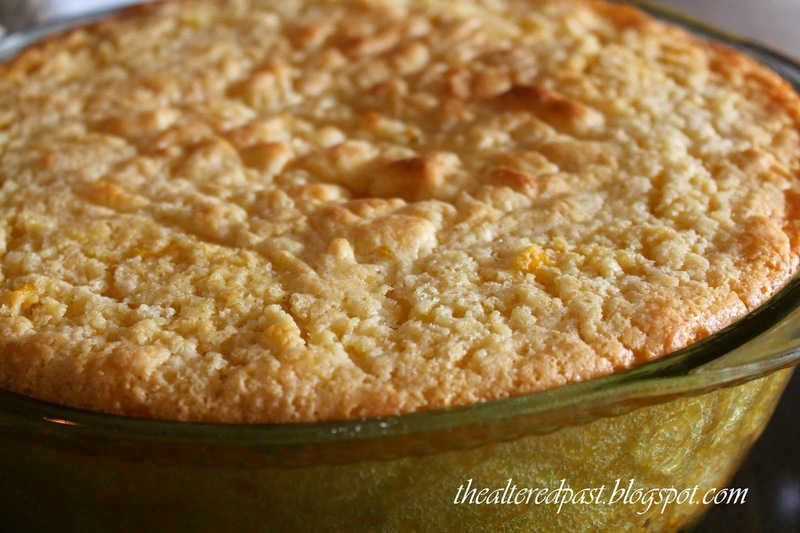 There are just 5 simple ingredients in this version of CORN PUDDING. 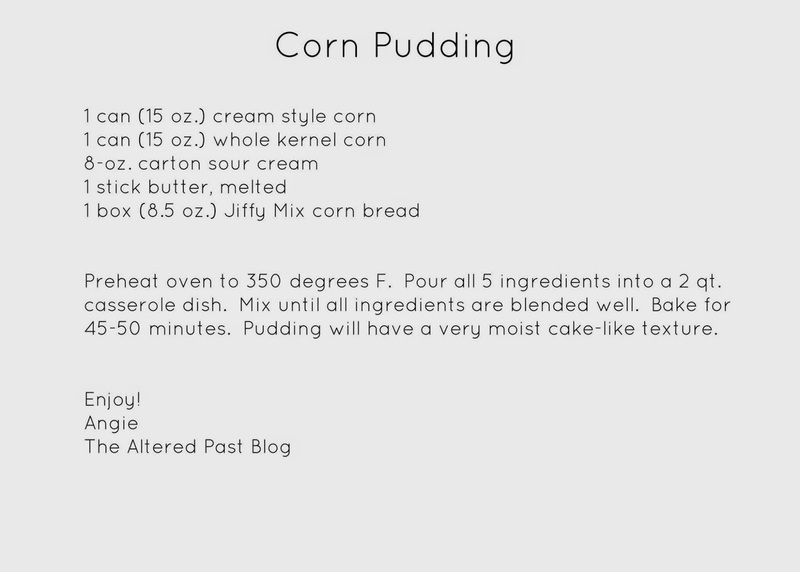 I got this recipe from a former co-worker y-e-a-r-s ago and I have used it over and over and over again. It's a classic and it's always a crowd pleaser. Ready? Here ya go! First, preheat oven to 300 degrees. 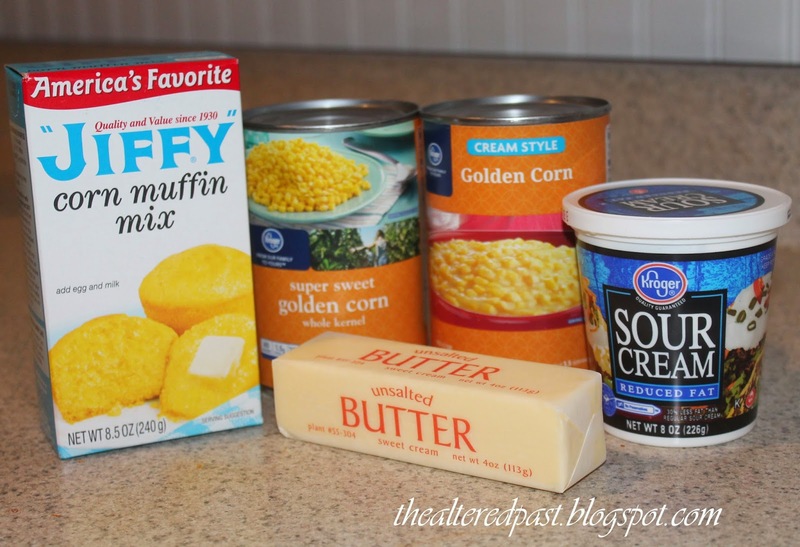 Start with 1 box of Jiffy Mix corn muffin mix, 1 can of whole kernel corn (drained), 1 can of cream style corn, 1 stick of butter (melted), and 8 oz. sour cream. Stir all of the ingredients together until well blended. Bake in 300 degree oven for about 45-50 minutes (or until golden brown). Yes! That's it! 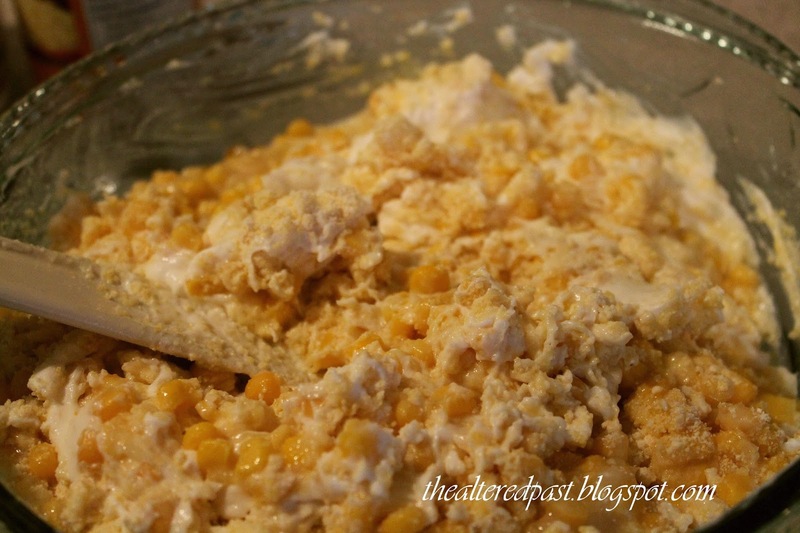 It's super easy and delicious...even the next day, yum! And, because I know you'll want to save this recipe, here's a version to print or Pin! 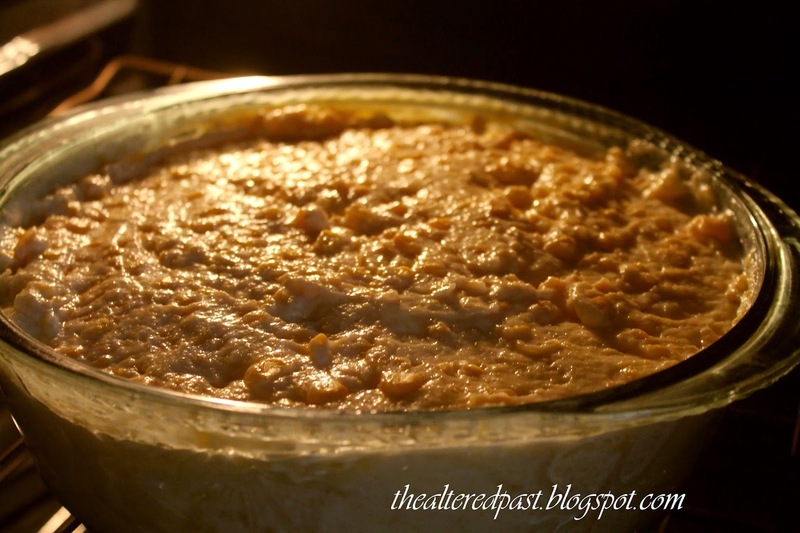 Be sure to check out the other 4 blogs on the tour for more delicious recipes! We will see you tomorrow for a round of gift wrapping ideas! Thanks for stopping by and God bless! 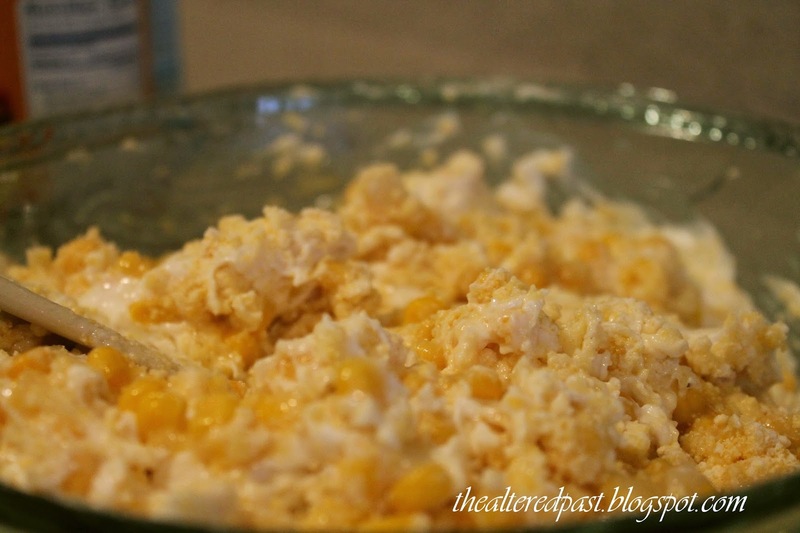 Angie - this corn pudding sounds relish! 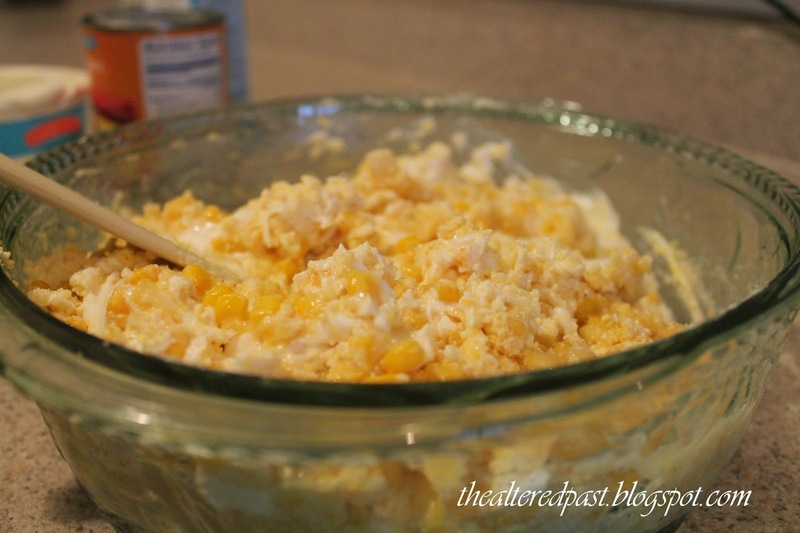 I can't believe you just throw everything in the pan and mix it together…I like no muss no fuss. This recipe is going on my cooking rotation of new recipes to make! Wow Angie this looks so good! I can't believe how easy this is to make! I'm totally going to try this out on my family! Thanks for sharing the recipe!